February may be the shortest month of the year, but this year, the month packs a punch with some major games coming out on both consoles and handheld devices. Anthem will challenge players to defeat the forces of the Dominion in a gorgeous open-world environment, while The Lego Movie 2 Videogame will let players join Emmet, Lucy, and the whole Lego gang on a new adventure in outer space. Anthem is a multiplayer action game that allows players to become a Freelancer, a soldier who wears powerful, customizable suits called javelins while on missions and during combat. Each javelin gives players advanced abilities, such as being able to fly and swim underwater. 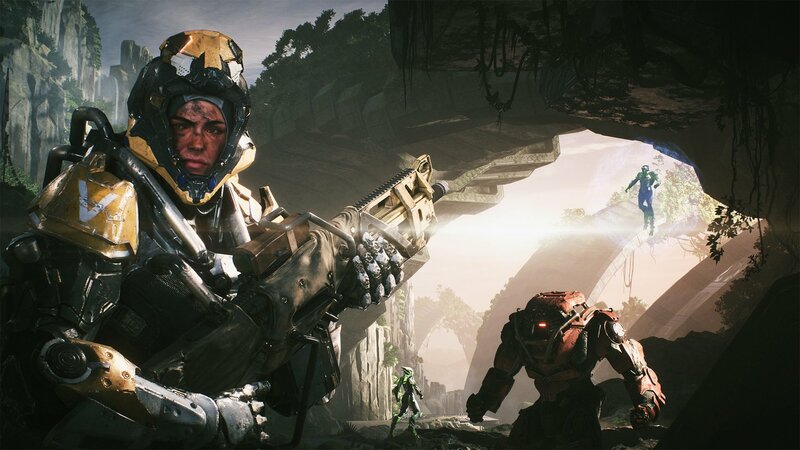 Anthem will challenge players to protect the in-game world from the Dominion, which wants to take control of a powerful object called the Anthem of Creation. While users can play alone, the game was designed for cooperative play, letting up to four players team up to take on missions together. Yo-kai Watch 3 is the latest role-playing adventure game in the popular Yo-kai franchise. The game contains two parallel stories, following youngsters Nate and Hailey Anne on their adventures through a world inhabited by strange creatures called Yo-kai. This time around, players will be able to meet over 600 Yo-kai (including new ‘Merican Yo-kai), and test their skills in a new 3x3 grid battle system. This action adventure game in the How to Train Your Dragon franchise will let players become a scholar named Scribbler, who teams up with a dragon named Patch to explore the world and free captured dragons after Hiccup’s dragon sanctuary is destroyed by evil forces. Patch is a hybrid dragon called a chimeragon, and has special abilities players can unlock as they progress. The game will let players fly to and explore familiar locations, as well as some new ones, on their quest. Emmet, Lucy, and the gang are back for a new adventure based on the upcoming film The Lego Movie 2: The Second Part, which hits U.S. theaters February 8. In the game, alien monsters have invaded and destroyed Bricksburg, and it will be up to players to visit the Systar System to save their friends. The Lego Movie 2 Videogame will let players collect over 100 playable characters from the first and second Lego Movie films, as well as visit some locations from the first movie. Notable kid- and teen-friendly titles are in bold.